RPG Maker VX allows just about anyone to create a RPG reminiscent of the classics one could find on the SNES such as Dragon Quest or Final Fantasy. Although fairly simple to use, there is a lack of documentation available with the software which is why I have undertaken the task of writing a series of articles which will help newcomers to use RPG Maker VX to its full potential. I am always open and interested in new tutorials ideas or resources. If you’d like to share some of your resources or some of your tutorials, you may contact me via my profile or by leaving me a message in the comments section down below. I’m always on the lookout for my next RPG Maker VX spotlight. Of all the RPG Maker VX resources available on the internet, icons are probably the hardest to find. As opposed to regular tilesets or characters, they are difficult to modify and a good knowledge of pixel art is required to create convincing icons. In this article, I will introduce the weapon icons of a gifted artist, Han Nanbu. All of the art introduced in this article originate from his website. None of the actual art can be downloaded from this article out of respect for Han. This being said, previews (with watermarks) as well as links are provided so that readers can easily get their hands on those great looking weapons. Please remember to credit the author if you use any of his art in your game. 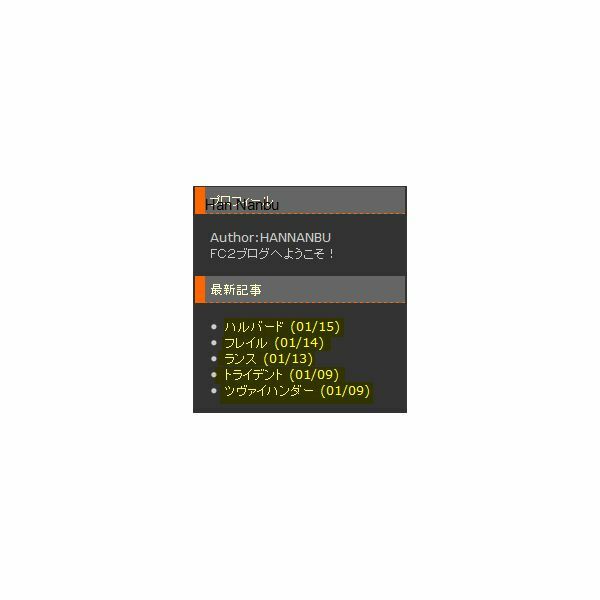 All of the Han’s creations are available on this website which you can access by clicking here: RPG Maker VX Weapon Icons. All of the art available on his website are of good quality, up par with the RPG Maker VX default icons. I’ll let you be the judge by yourself by looking at this gallery of his various creations. The weapon icons displayed here include halberds, hand axes, rapiers, flails, lances, swords and tridents. Here’s a quick explanation to find your way around his website which is entirely in Japanese. Due to a recent surge of popularity for my RPG Maker VX articles, I have decided to create my own account where I’ll be constantly updating my wall with my latest RPG Maker VX articles. I’ll also answer all sorts of questions related to RPG Maker VX should you have any. I hope it'll turn out to be a great tool to keep in touch with the RPG Maker VX communities.